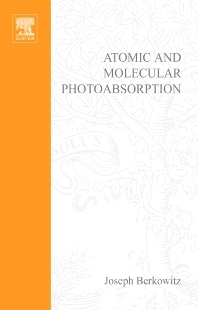 Atomic and Molecular Photoabsorption, Volume 1 describes and catalogs available spectral information relevant to how common gases interact with sunlight and other sources of electromagnetic radiation such as x-rays, flames, and plasmas. Photoabsorption is light's reduction in intensity and force when it passes through a column of gas or liquid. This book also includes a large number of data tables and figures that are invaluable to researchers because they help them select exactly which wavelengths to use in their experiments. The further distinguishing aspect of this book is its synthesis across a broad spectrum of wavelengths and compilation of data for a large number of atoms and molecules. Researchers in molecular spectroscopy as well as radiation physicists, chemists, biologists, and atmospheric chemists. Joseph Berkowitz was one of the pioneers in photoionization mass spectrometry in the 1960s. His previous book on this subject was published in 1979 and is now out of print. This new volume brings the work up to date. Argonne National Laboratory, Illinois, U.S.A.
Berkowitz provides a timely, up-to-date critical analysis and compilation of quantitative photoabsorption data for stable gases (He, Ne, Ar), selected light atomic radicals (H, Li, N, O, Na, C1), and diatomic and polyatomic molecules of broad interest. The volume will be of interest to a wide scientific audience. This monograph is very much an expanded and updated version of Chapter V of Berkowitz's well-known earlier work, Photoabsorption, Photoionization, and Photoelectron Spectroscopy (Academic Press, 1979), which helped to educate a generation or two of researchers and is still an important reference source. A work overflowing with clearly presented, useful, quantitative information from which a broad community of workers will benefit. Journal of the American Chemical Society, Volume 125, number 22, 2003.